Vancouver, Canada — July 3, 2018 — MetaOptima Technology is pleased to announce that DermEngine™, the world’s most advanced skin imaging and analytics tool, has officially been launched in Australia, marking an important advance in the way skin cancer is screened, tracked and detected. Recently, MetaOptima received a $6.5 million USD ($8.6 million CAD) investment from Australian-based company Skip Capital, co-founded by Atlassian’s Scott Farquhar and Kim Jackson, along with venture capital firm AirTree led by co-founder Daniel Petre. Together, the company and its Australian investors are confident that this investment will greatly advance DermEngine’s global expansion starting from Australia to better equip healthcare professionals in early detection, diagnosis and treatment of skin cancers. 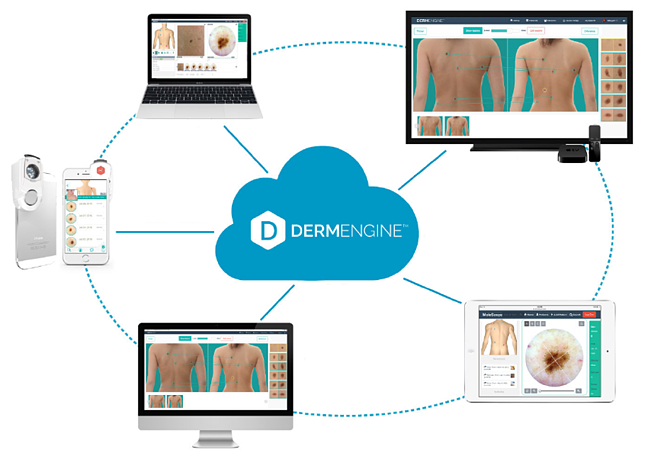 DermEngine’s combination of artificial intelligence, mobile technologies such as MoleScope™ and cross-platform accessibility aids medical professionals in the imaging, documentation, communication, diagnosis and management of skin cancer and other dermatology diseases. This intelligent and efficient workflow is designed to improve the accuracy of diagnosis and the quality of care while reducing unnecessary referrals, visits and related costs. With DermEngine, capturing, documenting and diagnosing skin cancer cases can be completed in just minutes. DermEngine is designed with the continued insight and support of global key opinion leaders in dermatology, dermoscopy, dermatopathology and dermato-oncology. “As experts, we are facing very long waiting lists. 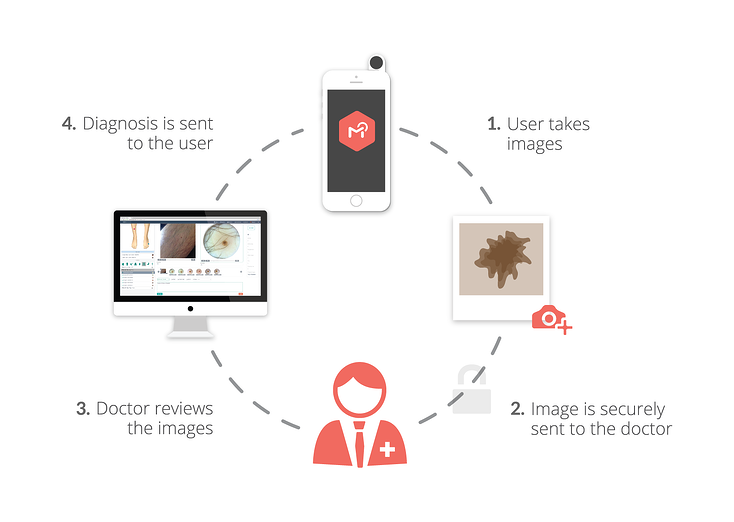 DermEngine and MoleScope create safe, streamlined communications between patients and their doctors, with real integration of all screening tools,” said Dr. Pascale Guitera, associate professor at Melanoma Institute Australia. MetaOptima is a fast-growing digital health company based in Vancouver, Canada that strives to empower people with advanced technologies to lead a healthier and happier life. 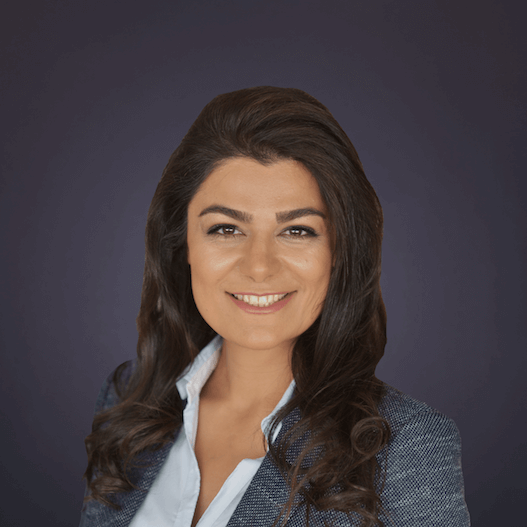 Founded in 2012, CEO Maryam Sadeghi and CTO Majid Razmara established a company dedicated to revolutionizing the dermatology and skin care industry with advanced, effective, affordable and intelligent tools. The MetaOptima team not only takes pride in a bold vision to save lives and contribute to better healthcare outcomes, they also work hard to build a successful company, creating jobs and developing tools that make the world a better place for patients, doctors and businesses alike. MoleScope™ by MetaOptima: The MoleScope device is a smartphone-attachable dermatoscope used to capture high-quality images of moles and help users track changes over time with the free associated app and stay engaged in their care plan. The device is capable of producing medical-grade quality pictures — the new standard of care in skin cancer diagnosis and management. DermEngine™ by MetaOptima: DermEngine is an intelligent dermatology software to assist in the imaging, documenting, communicating and diagnosing of skin conditions that works seamlessly with MoleScope™ and other dermatoscopes in the market. DermEngine provides quick and efficient mobile, tablet and web access to images, clinical notes and pathology reports via cross-platform accessibility for ultimate convenience. Skip Capital is the private investment fund of Kim Jackson and co-CEO of Atlassian, Scott Farquhar. The fund invests across multiple asset classes, with a passion for transformation and technology. Skip Capital backs phenomenal entrepreneurs and teams with deep experience in a sector – individuals who are solving big problems in a rapidly changing world. Skip Capital provides patient, flexible capital from early-to-late stage rounds. Past investments include in sectors such as SAAS, ioT, energy, health, and fintech. AirTree Ventures invests in world-class entrepreneurs building the exceptional companies of tomorrow. It is one of the largest venture capital funds in Australia, and over the past two decades has partnered with 40+ companies including market leaders such as Canva, Prospa, 90Seconds, and Hyper Anna. For more information, visit http://www.airtree.vc/.